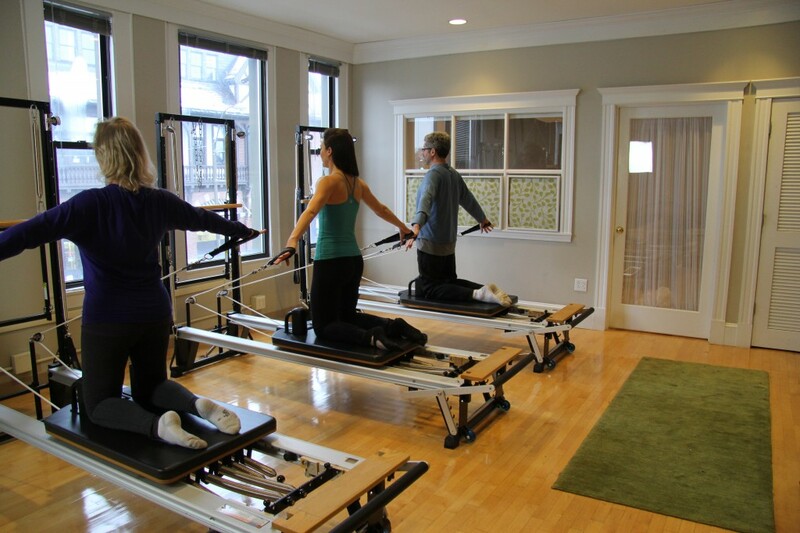 The classes we teach at Modern Pilates include the use of all Pilates equipment, as well as mat work, reformer, Cadillac, ladder barrel, chair, fitness circle, flex-bands, and more. Private, Duet, and Trio classes are offered. We can help make you feel stronger and healthier or focus on a more specific fitness need, such as the ones listed below. Pilates has over 600 exercises geared towards suppleness, balance, and tone all to help you develop a lithe physique and eliminate aches and pains. Your body and your wardrobe will both love you. Whether you’re a seasoned professional athlete or a weekend warrior, whether you swing a racquet or jump for a ball, Pilates can be the perfect complement to help improve your game. “Pilates exercises can be helpful during pregnancy & after childbirth to restore abdominal-muscle strength and to realign posture.” (Harvard Women’s Health Watch, Harvard Med School, Jan ’99) Our studio has the only Pilates instructor accepted as an educational affiliate of the American College of Obstetrics & Gynecologists. When legendary swing coach Butch Harmon says that Pilates improved his driving distance by 50 yards on the very first day, you know you’ve found a secret weapon. Modern Pilates works with physical therapy clinics and other medical referrals to get people up and running after the acute phase of an injury or accident has passed. There’s an event coming … a wedding, reunion, a fancy beach vacation. You know the cameras will be everywhere. Are you photo shoot ready? Modern Pilates can help.